Stagecoach in Oxfordshire Fleet List: Oxford 33651 returned from loan to Banbury on 22nd. Similar 33655 arrived on loan today. 47239 has lost its Network Banbury routes B1/B2 branding following repaint. Thanks to Martin Townsend for this. 22053/7 have new MegaRears for Oxford & Cherwell Valley College and 22052 for Fostering and Adoption. 22925 lost its MegaRear for Raphels some time ago and 22926 its rear for Fostering and Adoption. First Berkshire Fleet List: London 41336 has arrived on loan at Slough. Thanks to David Fuller for this. Stagecoach in Oxfordshire Fleet List: Oxford 33651 had returned from loan to Banbury by approx 20th. Stagecoach in Warwickshire Fleet List: Leamington 33356 is now confirmed in reserve. Withdrawn 31321 departed on 24th for PVS, Carlton for scrap. 31352 was sold to the Stafford Bus Centre (dealer), presumably along with others that have departed. Thanks to Keith Wood for this. 31363 was sold to Heartlands Travel. Thanks to Tony Hunter for this. 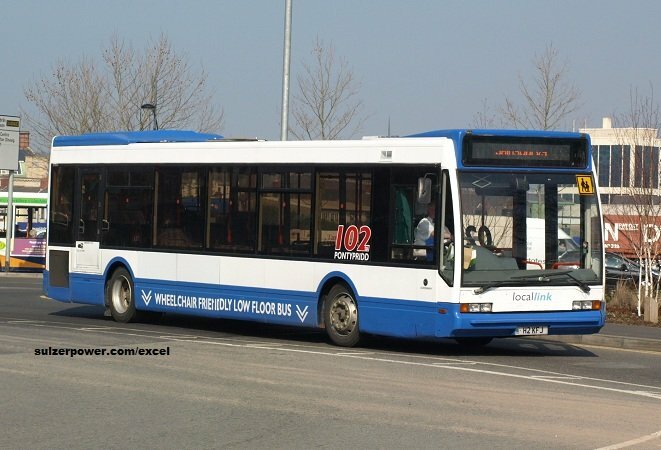 Reading Transport Fleet List: 110 and 117 have been sold, departing yesterday. Thanks to Ken MacKenzie for this. 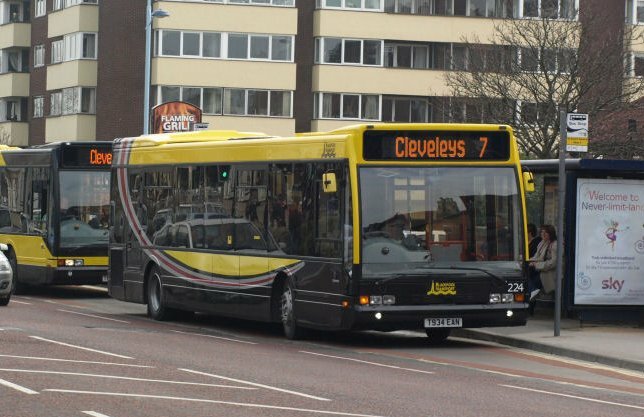 722-4 are to be purchased by Norfolk Green when they become available in April. Buyers have also been found for 1001-5, plus 599 which is being sold instead of 1006. Stagecoach in Oxfordshire Fleet List: 52211 went on loan to Stagecoach in Warwickshire on 19th. Thanks to Keith Wood for this. News Page: Reading Half Marathon with photos of 808, 832, 851 & 203, and 1106 & 1102. Stagecoach in Warwickshire Fleet List: The transfer of 34121 from Rugby to Leamington took place on 18th. Thanks to Keith Wood for this. Reading Transport Fleet List: 25 further Alexander Dennis Enviro400Hs, one more than previously expected, have been ordered for delivery in the summer and early autumn of this year. There will be one branded for route 26, nine for routes 20/21, thirteen for route 17 and two generic. The additional cost of buying hybrid vehicles over ordinary buses is being met by the government's green bus fund, and the vehicles will replace a similar number of Scania OmniDekkas. In addition six midibuses are to be ordered to replace the remaining Optare Solos. Weavaway Travel Fleet List: Six of the new Alexander Dennis Enviro400s will have Reading Buses fleet numbers 1201-6 and feature seat belts, audio announcements and WiFi. All were expected to arrive at Great Knollys Street this week to be fitted with the real time information screens, WiFi and interior and exterior branding. SN11 BWE was noted in Reading Town Centre yesterday morning in plain black/cream. SN11 BWB/C/D are also present at Great Knollys Street. Stagecoach in Warwickshire Fleet List: Leamington reserve 33356 remains in service for the time being, and the transfer of 34123 from Rugby to Leamington has yet to take place. 34641 is now at Nuneaton from Leamington. Thanks to Martin Townsend for this. Stagecoach in Oxfordshire Fleet List: Oxford 33651 remains on loan to Banbury. Stagecoach in Warwickshire Fleet List: 34118 has lost its route 48 branding following repaint, completing the batch. 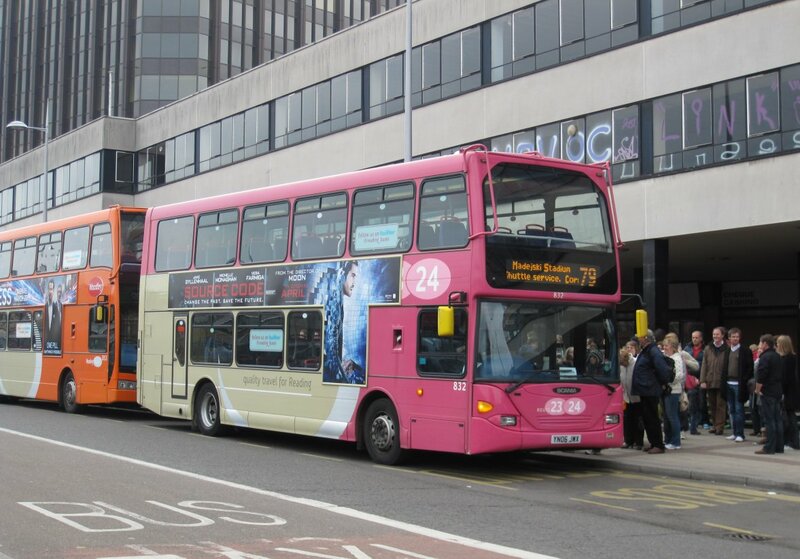 Not previously recorded is that 25237-41 have branding for route 68, but 25241 lost this branding yesterday. Thanks to Keith Wood for this. Stagecoach in Oxfordshire Fleet List: Oxford 33651 was on loan to Banbury from 11th until today. Thanks to Martin Townsend for this. 80015 was swapped for SN59 AWV (numbered 80016) on 7th as planned, with 80016 entering service on 8th. Loaned FJ60 HYV continues in use for the time being. Stagecoach in Warwickshire Fleet List: Reserve 20809 remains in service at present. Thanks to Martin Townsend for this. 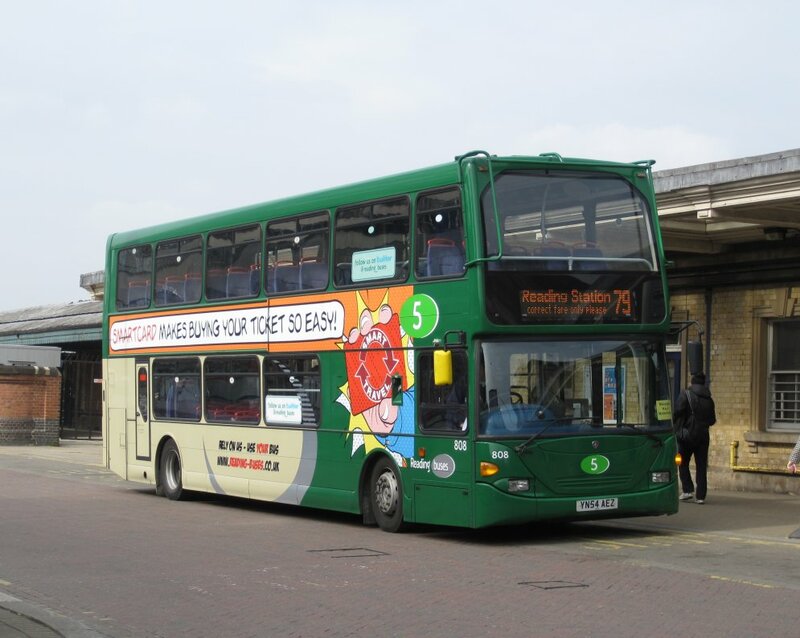 16489 entered service today, and 34122 is confirmed as having lost its route 3/3A branding upon its recent transfer. Thanks to Keith Wood for this. 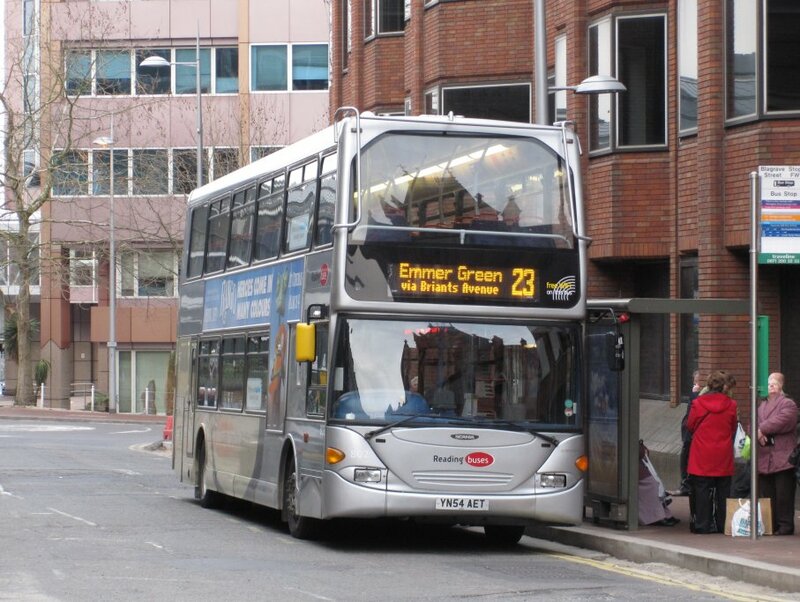 Reading Transport Optare Excels: New photo of 929 with New Adventure Travel added. It has been reregistered H2 KFJ. Thanks to Shaun Courtnage for this. Stagecoach in Warwickshire Fleet List: 16484/9 are now allocated to Leamington. 34121-3 have transferred from Rugby to Leamington, 34121/2 presumably loosing their route 3/3A branding. 20224/5, 20809 and 33355/6 have gone into reserve from Leamington with 33351 to follow shortly. Withdrawn Rugby 31043-46/49-51, 31354/6 and Leamington 31321 are in store at Northampton pending sale. Withdrawn 31048 and loaned 52436 are for also sale. 31324 was sold to Fleetlink in December. 31323/26/27/30/33/34/51/52 were sold during February along with previously reported 31322/25/29/30/50. 31052 and 33354 have been sold this month and are awaiting collection. Stagecoach in Warwickshire Fleet List: 34113 has been repainted, loosing its route 48 branding leaving 34118 the last left to do. Thanks to Keith Wood for this. Courtney Coaches Fleet List: RX06 WRU has lost its Sony/Motorola/Fujitsu lettering in favour of 'The Heights' branding. Meanwhile YJ09 OTV, with the same lettering, it white rather than grey. Thanks to Bob Smith for this. Weavaway Travel Fleet List: Two of the new Enviro 400s are ready at the ADL factory in Falkirk registered SN11 BWB/C and wear a black and cream livery. Thanks to Gez Nicholls for this. Reading Transport Optare Excels: New photo of former 934 added. Thanks to Shaun Courtnage for this. Stagecoach in Warwickshire Fleet List: 16620 has returned to Leamington from loan to Stratford. Thanks to Darren Young for this. Reading Transport Scania OmniDekkas: 801 and 802 have gained "free WiFi on this bus" logos on the front and rear. New photo of 802 added. First Berkshire Fleet List: 42412 has returned from Slough to Bracknell. Thanks to Ricky Barnes for this. Weavaway Travel Fleet List: New on 28th February were VanHool T917 YN08 NTO, ex Parrys Coaches and Neoplan Skyliner MC07 YDK ex Parks of Hamilton. YN08 NTO has been reregistered V11 OCL and MC07 YDK S222 AJW. 327 RFC and MAC 96P have been reregistered back to their original SF07 PZU/TKD, with SN09 LSF/J taking those marks in their place. X90 OXF has been reregistered to one of its former marks, and departed to Plaxton (dealer) in part exchange for the Skyliner. W30/40/50/60/70/90 OOW, R9 BRD and S222 AJW have been upseated from CH59/20Ct to CH67/22Ct. Oxford Bus Company Fleet List: Enviro400 demonstrator 900 is due to return to Alexander Dennis. 17 new Alexander Dennis Enviro 400Hs are on order for March/April for the Park & Ride network. Stagecoach in Oxfordshire Fleet List: 80015 is to return to Alexander Dennis tomorrow in exchange for similar SN59 AWV recently with Oxford Bus Company. Meanwhile loaned Volvo B9R / Caetano Levante FJ60 HYV has also been prepared for return to South Gloucestershire Bus & Coach shortly. Stagecoach in Warwickshire Fleet List: Loaned 33323 at Rugby returned to Northampton during February. The only Volvo B6s remaining at Rugby are 31047/8, both withdrawn out of service, meaning that 31043-46/48-51, 31330/54/56 have been withdrawn following the arrival of the new Enviro200s. Thanks to Dan for this. Former 16079 has gone from Ensign (dealer) to Ripley for scrap and 14026/32 from Ensign (dealer) to Alpine Coaches, Llandudno.